The Yehudi Menuhin School was founded in 1963 thanks to the vision and determination of an extraordinary musician and world citizen, the celebrated violinist Yehudi Menuhin. A brilliant educator, he feared that the lack of specialist music provision for children at an early age would result in an irreversible decline in the provision of world-class instrumentalists. Inspired by a visit to Moscow’s Central School for Young Musicians, Menuhin set out to develop a specialist music school in the UK for extraordinarily gifted children. These boys and girls, aged between seven and nineteen, would come from all corners of the globe, regardless of their race, creed or parents’ financial position. His vision was that the school would not only attract potentially the most outstanding performers of their generation in string instruments and piano, but that they would also become well-rounded and compassionate people as a result of the high quality academic activities and pastoral care provided by the school. At the same time, Menuhin was anxious that the School would take its music out into the local community and include the community in the life of the School. Text BoxIn 1964 the School moved from London to its current location in Cobham, Surrey, and gradually expanded to include new teaching and boarding blocks. In 1973 the School was accorded special status as a ‘Centre for Excellence for the Performing Arts’ and was one of the first schools to receive support from the Department for Education’s Music and Dance Scheme. 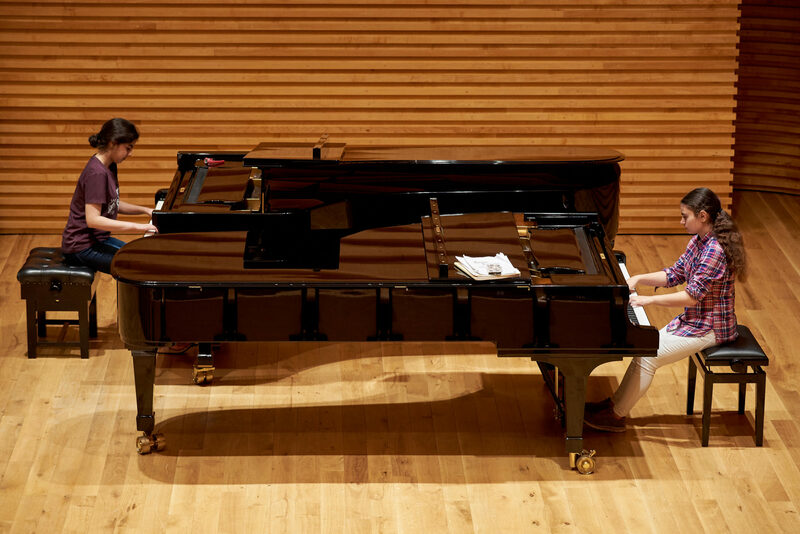 January 2006 saw the opening of the 300-seat Menuhin Hall, greatly enhancing the performance opportunities for the school’s pupils and allowing the development of a ‘Celebrity Series’, attracting musicians of international renown. In 2016, new Music Studios were opened, providing state-of-the art teaching and practice facilities. We’re delighted to be working with such a forward-looking school, which fosters such extraordinary talent, as they plan for a sustainable future.